Every Coffee Morning changes lives. 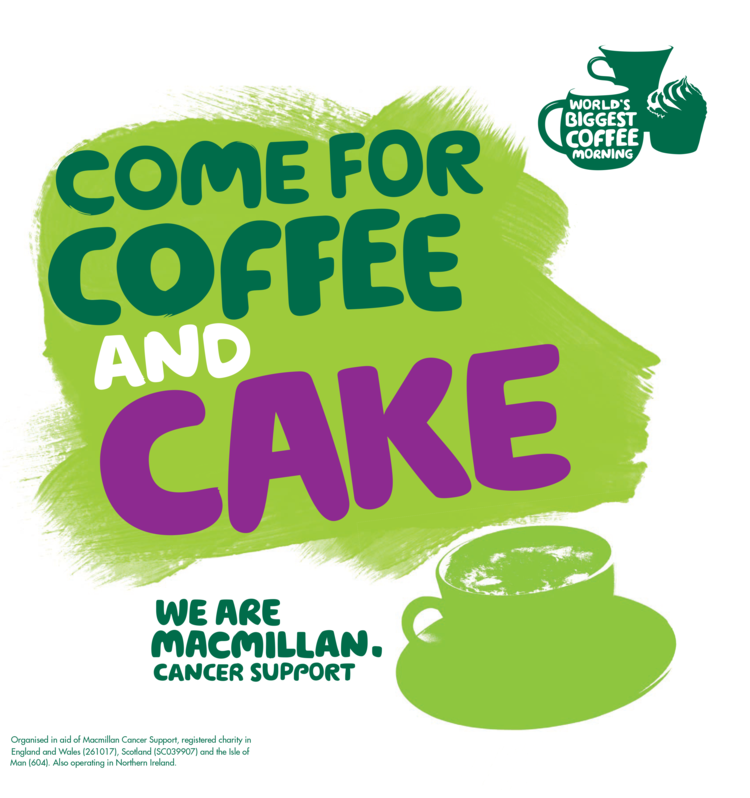 The World’s Biggest Coffee Morning takes place on Friday 28th September 2018. We are supporting Macmillan and holding one here at the Whitfield Business Reception, you can too. JAM MTD3 to 70550 to donate £5. We look forward to seeing you. Or people can text JAM MTD3 to 70550. Last year the 2017 coffee morning raised £27.5m for Macmillan cancer support.